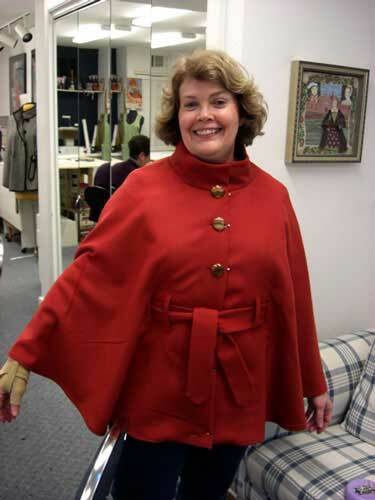 Bettty just finished hand stitching the binding on this beautiful teal cape. 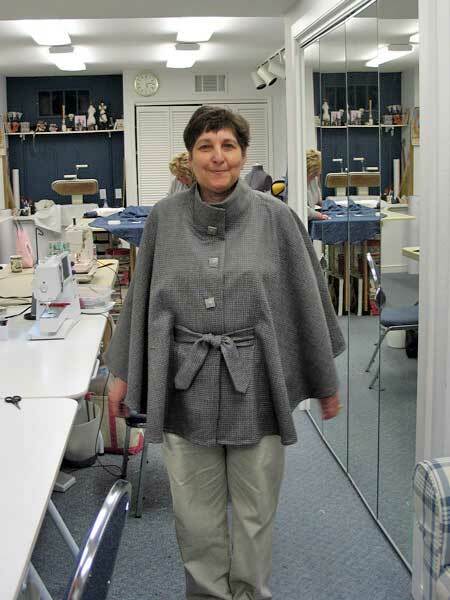 She was happy she took the sewing workshop with Jane. 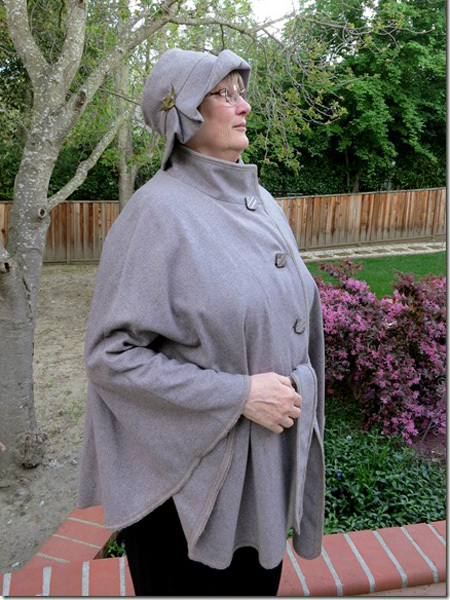 Diana had some fabric left over from her London cape so she made a beautiful hat to match. 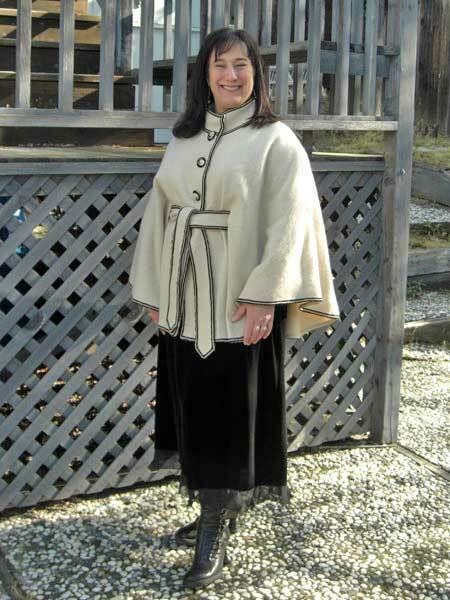 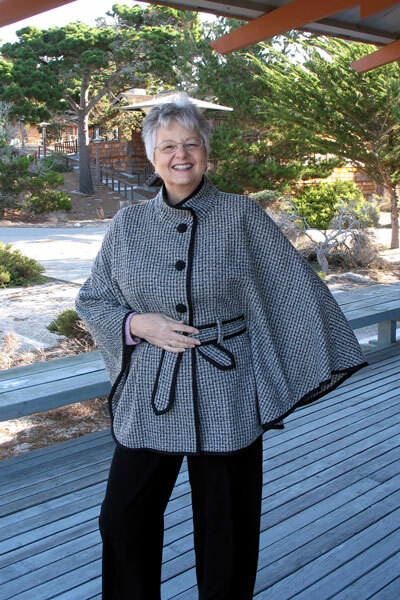 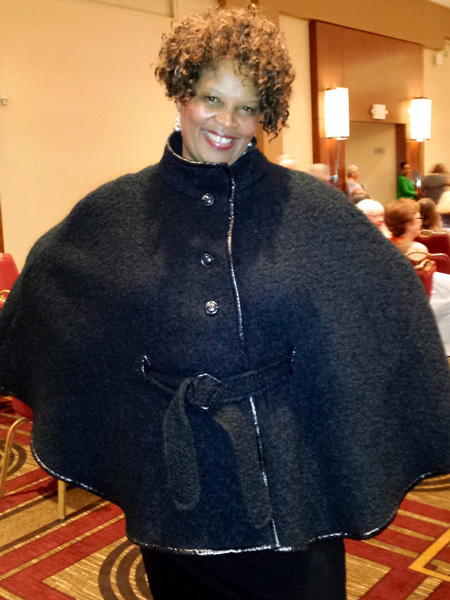 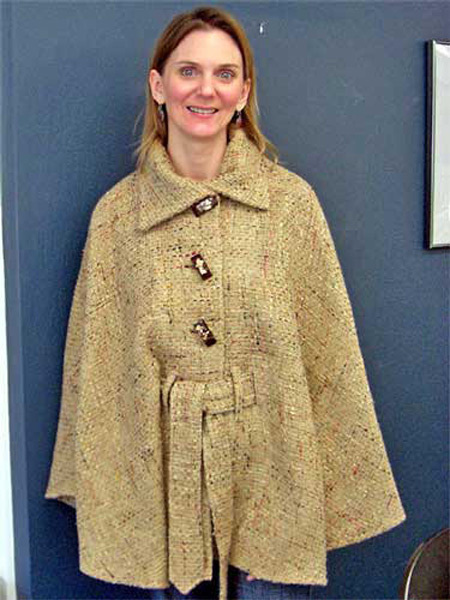 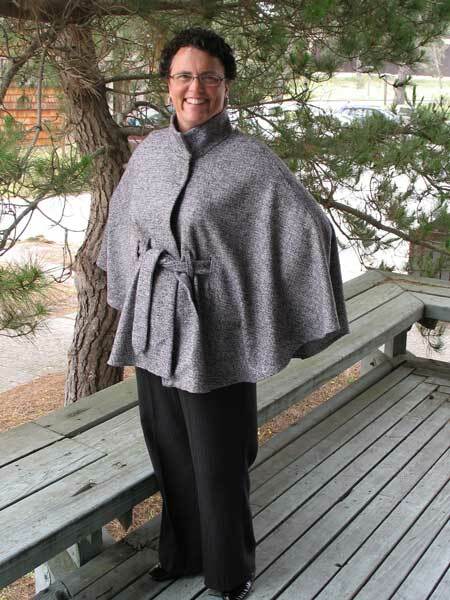 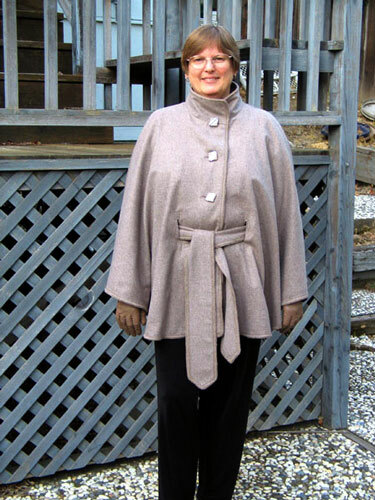 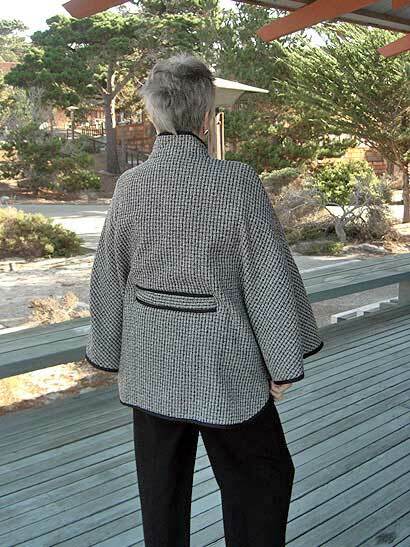 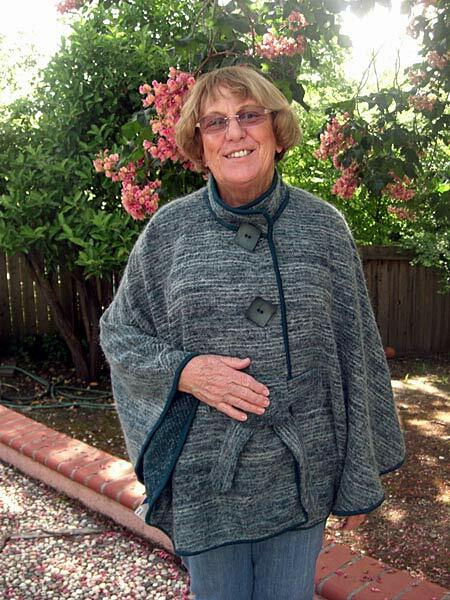 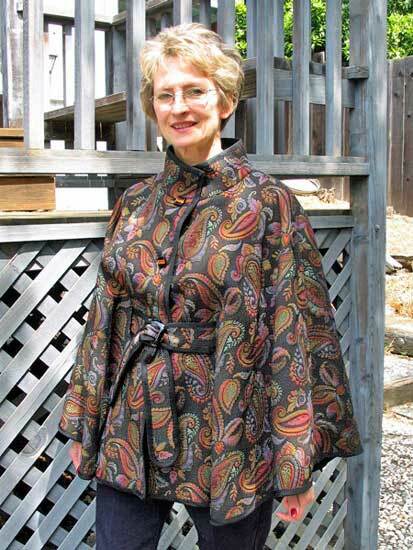 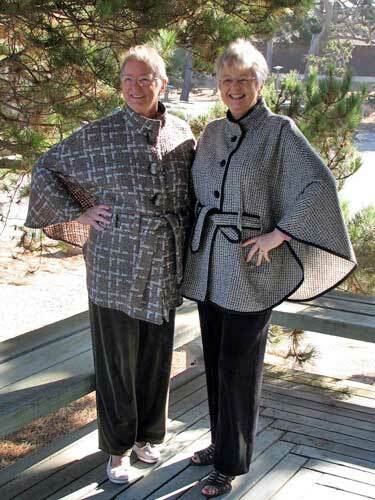 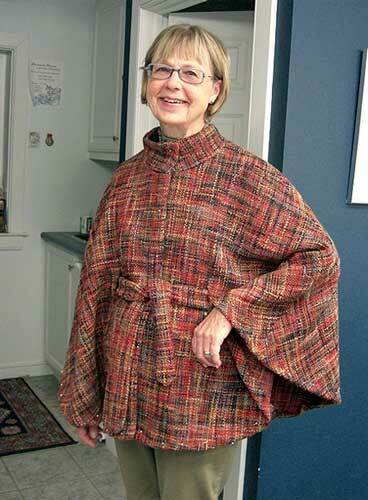 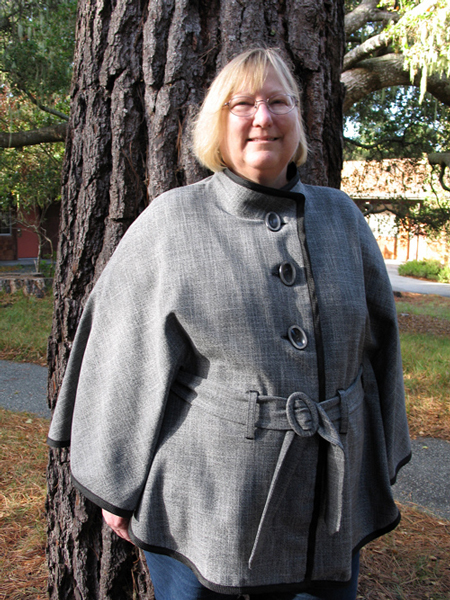 Susie wore her wool boucle cape, made from Jane's London Cape pattern in the American Sewing Guild Fashion Show at their conference recently in Washington DC.